The U.K. government is rushing to finalize a draft internet censorship law particularly targeting social media but key details of the proposal have yet to be finalised amid concerns about stifling innovation. Government officials have been meeting with industry players, MPs, peers and other groups over the past month as they try to finalise their proposals. People involved in those discussions said there is now broad agreement about the need to impose a new duty of care on big tech companies, as well as the need to back up their terms and conditions with the force of law. A white paper is due be published by the end of winter. But the Department for Digital, Culture, Media and Sport, which is partly responsible for writing up the new rules alongside the Home Office, is still deliberating over key aspects with just weeks to go until the government said it would unveil an outline of its proposals. Among the sticking points are worries that regulation could stifle innovation in one of the U.K. economy's most thriving sectors and concerns over whether it can keep pace with rapid technological change. Another is ensuring sufficient political support to pass the law despite likely opposition from parts of the Conservative Party. A third is deciding what regulatory agency would ultimately be responsible for enforcing the so-called Internet Safety Law. A major unresolved question is what censorship body will be in charge of enforcing laws that could expose big tech companies to greater liability for hosted content, a prospect that firms including Google and Facebook have fought at the European level. Several people who spoke to POLITICO said the government does not appear to have settled on who would be the censor, although the communications regulator Ofcom is very much in the mix, however there are concerns that Ofcom is already getting too big. Wrangling in Whitehall has held up plans to set up a social media censor dubbed Ofweb, The Mail on Sunday reveals. The Government was due to publish a White Paper this winter on censorship of tech giants but this Mail has learnt it is still far from ready. Culture Secretary Jeremy Wright said it would be published within a month, but a Cabinet source said that timeline was wholly unrealistic. Other senior Government sources went further and said the policy document is unlikely to surface before the Spring. Key details on how a new censor would work have yet to be decided while funding from the Treasury has not yet been secured. Another problem is that some Ministers believe the proposed clampdown is too draconian and are preparing to try to block or water down the plan. There are also concerns that technically difficult requirements would benefit the largest US companies as smaller European companies and start ups would not be able to afford the technology and development required. The Mail on Sunday understands Jeremy Wright has postponed a visit to Facebook HQ in California to discuss the measures, as key details are still up in the air. Labour has called for a new entity capable of taking on the likes of Facebook and Google. 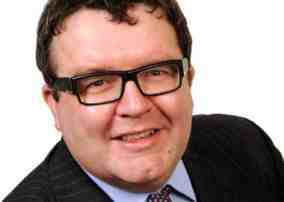 Tom Watson, the shadow digital secretary, will on Wednesday say a regulator should also have responsibility for competition policy and be able to refer cases to the Competition and Markets Authority. According to Watson, any duty of care would only be effective with penalties that seriously affect companies' bottom lines. He has referred to regulators' ability to fine companies up to 4% of global turnover, or euro 20m, whichever is higher, for worst-case breaches of the EU-wide General Data Protection Regulation. There is every reason to believe that the government and opposition are moving to a consensus on introducing a duty of care for social media companies to reduce harm and risk to their users. This may be backed by an Internet regulator, who might decide what kind of mitigating actions are appropriate to address the risks to users on different platforms. This idea originated from a series of papers by Will Perrin and Lorna Woods and has been mentioned most recently in a recent Science and Technology committee report and by NGOs including children's charity 5Rights. A duty of care has some obvious merits: it could be based on objective risks, based on evidence, and ensure that mitigations are proportionate to those risks. It could take some of the politicisation out of the current debate. However, it also has obvious problems. For a start, it focuses on risk rather than process . It moves attention away from the fact that interventions are regulating social media users just as much as platforms. It does not by itself tell us that free expression impacts will be considered, tracked or mitigated. Furthermore, the lack of focus that a duty of care model gives to process means that platform decisions that have nothing to do with risky content are not necessarily based on better decisions, independent appeals and so on. Rather, as has happened with German regulation, processes can remain unaffected when they are outside a duty of care. In practice, a lot of content which is disturbing or offensive is already banned on online platforms. Much of this would not be in scope under a duty of care but it is precisely these kinds of material which users often complain about, when it is either not removed when they want it gone, or is removed incorrectly. Any model of social media regulation needs to improve these issues, but a duty of care is unlikely to touch these problems. There are very many questions about the kinds of risk, whether to individual in general, vulnerable groups, or society at large; and the evidence required to create action. The truth is that a duty of care, if cast sensibly and narrowly, will not satisfy many of the people who are demanding action; equally, if the threshold to act is low, then it will quickly be seen to be a mechanism for wide-scale Internet censorship. It is also a simple fact that many decisions that platforms make about legal content which is not risky are not the business of government to regulate. This includes decisions about what legal content is promoted and why. For this reason, we believe that a better approach might be to require independent self-regulation of major platforms across all of their content decisions. This requirement could be a legislative one, but the regulator would need to be independent of government and platforms. Independent self-regulation has not been truly tried. Instead, voluntary agreements have filled its place. We should be cautious about moving straight to government regulation of social media and social media users. The government refuses to regulate the press in this way because it doesn't wish to be seen to be controlling print media. It is pretty curious that neither the media nor the government are spelling out the risks of state regulation of the speech of millions of British citizens. That we are in this place is of course largely the fault of the social media platforms themselves, who have failed to understand the need and value of transparent and accountable systems to ensure they are acting properly. That, however, just demonstrates the problem: politically weak platforms who have created monopoly positions based on data silos are now being sliced and diced at the policy table for their wider errors. It's imperative that as these government proposals progress we keep focus on the simple fact that it is end users whose speech will ultimately be regulated. Social media companies face criminal sanctions for failing to protect children from online harms, according to drafts of the Government's White Paper circulating in Whitehall. Civil servants are proposing a new corporate offence as an option in the White Paper plans for a tough new censor with the power to force social media firms to take down illegal content and to police legal but harmful material. They see criminal sanctions as desirable and as an important part of a regulatory regime, said one source who added that there's a recognition particularly on the Home Office side that this needs to be a regulator with teeth. The main issue they need to satisfy ministers on is extra-territoriality, that is can you apply this to non-UK companies like Facebook and YouTube? The belief is that you can. Criminal sanctions are going to be put into the White Paper as an option. We are not necessarily saying we are going to do it but these are things that are open to us. They will be allied to a system of fines amounting to 4% of global turnover or Euros 20m, whichever is higher. Government minister Jeremy Wright told the Telegraph this week he was especially focused on ensuring that technology companies enforce minimum age standards. He also indicated the Government w ould fulfill a manifesto commitment to a levy on social media firms, that could fund the new censorr. The world's biggest internet companies including Facebook, Google and Twitter are represented by a trade group call The Internet Association. 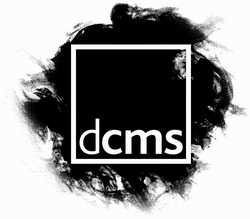 This organisation has written to UK government ministers to outline how they believe harmful online activity should be regulated. The letter has been sent to the culture, health and home secretaries. The letter will be seen as a pre-emptive move in the coming negotiation over new rules to govern the internet. 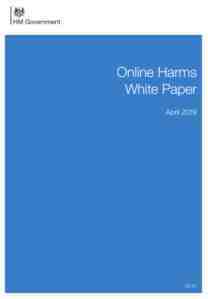 The government is due to publish a delayed White Paper on online harms in the coming weeks. "Recognise the distinction between public and private communication"
Many leading figures in the UK technology sector fear a lack of expertise in government, and hardening public sentiment against the excesses of the internet, will push the Online Harms paper in a more radical direction. Three of the key areas of debate are the definition of online harm, the lack of liability for third-party content, and the difference between public and private communication. The companies insist that government should recognise the distinction between clearly illegal content and content which is harmful, but not illegal. If these leading tech companies believe this government definition of harm is too broad, their insistence on a distinction between illegal and harmful content may be superseded by another set of problems. The companies also defend the principle that platforms such as YouTube permit users to post and share information without fear that those platforms will be held liable for third-party content. Another area which will be of particular interest to the Home Office is the insistence that care should be taken to avoid regulation encroaching into the surveillance of private communications.